A look at what happens in an Internet Minute #infographic ~ Visualistan '+g+"
One minute…while it may not be considered as a big deal in our everyday lives, it can be quite significant. Consider being a student who just missed to submit an assignment by a minute, or better yet, imagine avoiding being hit by a fast-paced vehicle, by moving just in time. If seconds can be this crucial, then a full minute should (and is) really be important. Now turning our attention to a minute in the world of internet. When we take a look at all the activities that inspire online within a minute, we can’t help but notice how extraordinary it can be. 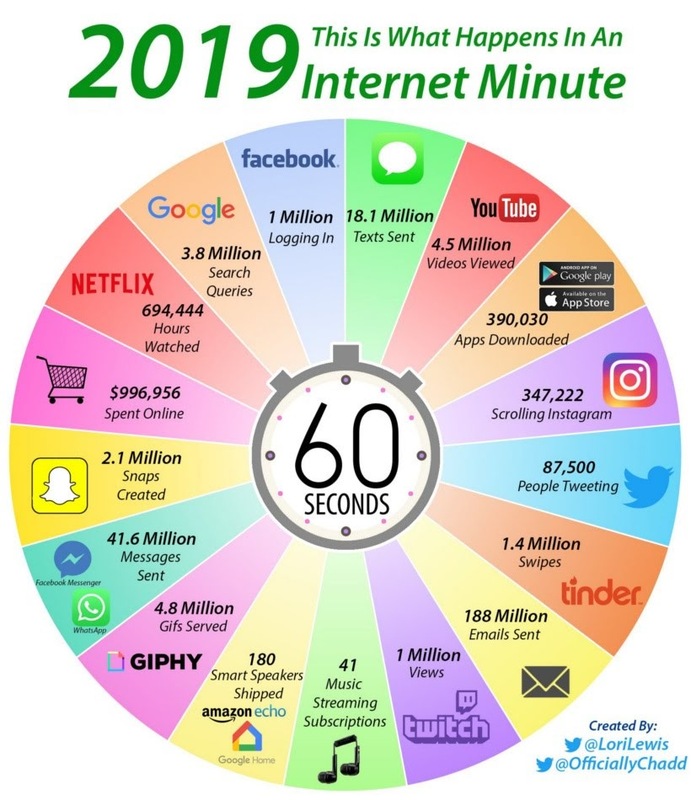 Thanks to @LoriLewis and @OfficiallyChadd for the infographic, covering the online activities of the internet users worldwide in 2019 so far. Yes, all of the activities depicted above including sending of 188 million emails, 41.6 million Facebook Messenger and Whatsapp messages etc. occur within 60 seconds. 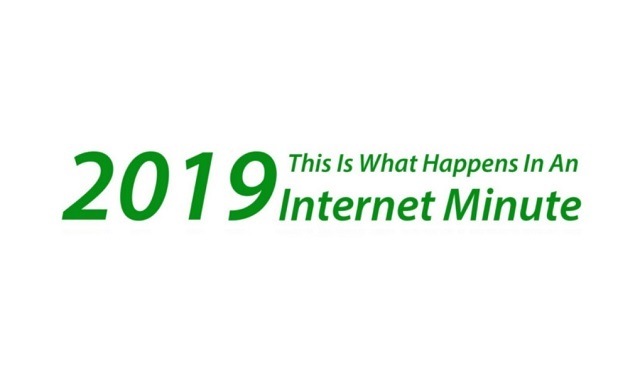 When we compare 2018’s internet minute infographic to 2019’s, some developments and changes are evident. While most of the Social Media platforms somehow managed to retain their engagement and use, with Instagram and Netflix experiencing significant growth, new categories such as Giphy and smart speakers managed to establish their dominance as well. The online shopping category experienced a noticeable hike too with the total money spent increasing from $862,823 to $996,956 over a year. Credit where credit is due, the e-commerce industry has surely cracked the formula of success by truly understanding their targets and offering them exciting and in-demand deals such as a discount code or other catchy offers. On the other side, emails are losing their importance gradually due to collaborative workspace platforms like Slack and Glip. Snapchat is also among the apps/services which have experienced a downhill in user activity over the last year. The decline’s main reason can be regarded as the redesign which wasn’t received well by the users, causing them to look up alternatives. With every passing day, the landscape of internet is changing due to more and more people gaining access. It’s predicted that the infographic will potentially look much more different next year than it does right now.